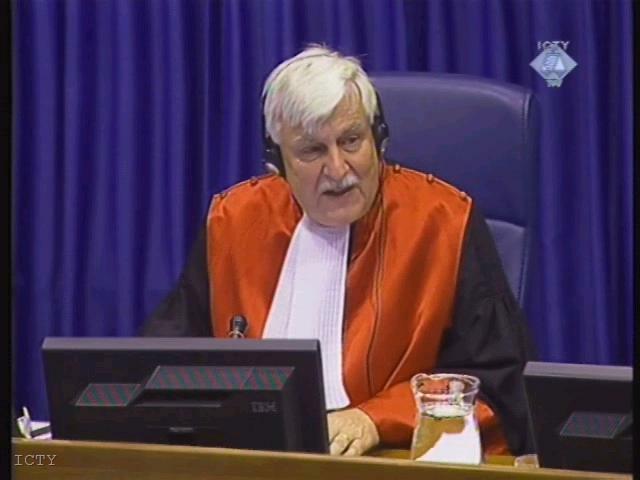 To perform a theatre of the absurd piece – that must have been the main idea of former Bosnian Serb General Ratko Mladic at his second appearance before the the International Criminal Tribunal for the former Yugoslavia (ICTY) in the Hague on Monday. His numerous attempts to interrupt the judge, the complaints and even the gestures he was making in the courtroom, however, did not help Mladic, charged with crimes against the humanity, and finally the judge, Alphons Orie was forced to ask for his removal from the courtroom. The court ignored these complaints, as according to the judge, Mladic had failed to present the needed documentation in order to prove that he had health problems. 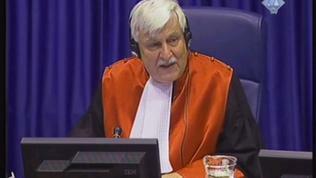 As Mladic declined to plead unless he was allowed more lawyers with whom to prepare a concept for his defence, judge Orie formally noted a not guilty plea to the charges. 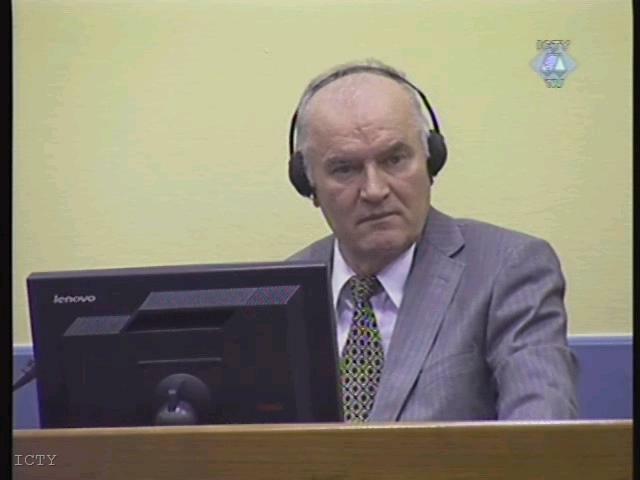 Like in his previous appearance before the Tribunal a month ago, Mladic declined to listen to the judge and even said before leaving the courtroom: “You are not allowing me to defend myself, to have a lawyer. You are not a court, what are you?” According to his lawyer, Aleksandar Aleksic, initially Mladic even announced that he would not appear before the court. “Since his initial appearance I have visited him more than 10 times, we spoke normally until last Friday when he told me that he will not appear in court. But this morning, when he came to the court, he declined to communicate with me,” Aleksic said and asked the court to delay the plea, which the judge refused. Mladic’s behaviour reminds to a great extent the behaviour of another indicted - the leader of the Serbian radicals, Vojislav Seselj, who in July 2009 was found guilty and sentenced to 15 months in jail for contempt to court for revealing the identities of three protected witnesses. On Wednesday afternoon he is expected to appear in the Hague court in connection with this sentence. In his column for the Bosnian daily Dnevni Avaz “The end of the Hague Burlesque” local journalist Ruzdija Adzovic explains that the determination, with which the judge had Mladic taken out the court room, is not usual, because so far the court rather tolerated similar behaviour of many indicted, including Seselj’s vulgarity. “If the reason for the harsh guard of the judge is the pressure from the United Nations Security Council that the Hague should have as much as possible sentences by July 2013, there is no place for real justice. But, if the Tribunal has decided to change its policy, then hope remains that Mladic would receive the punishment he deserves,” he says. 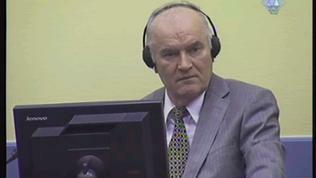 Mladic’s pre-trial status hearings are expected to be held every three months, but a trial is unlikely to begin before next year at the earliest, according to experts. At the moment there are no details about the date of the next hearing. In the meantime, on Tuesday, a Dutch appeals court ruled that the Dutch state was responsible for the deaths of three Muslim men after the fall of Srebrenica during the 1992-5 Bosnian war, as Dutch UN peacekeeping troops failed to protect them. Those troops were in charge of the UN declared 'safe area' Srebrenica in July 1995 when Bosnian Serb forces overran the enclave and later killed 8,000 Bosnian Muslim men and boys. The Dutch government has been insisting that its troops were abandoned by the United Nations, which provided them no air support.